When Will The Ancient Object Of The Crossing Down Return, May 26, 2018? When Will The Ancient Object Of The Crossing Down Return? and I hope that you will also get to go face to face with the Man of Light! This is the special ancient thing that happens! 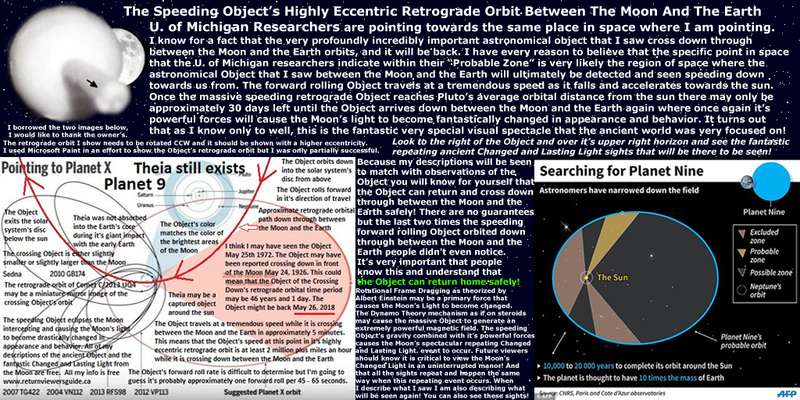 I realize there are many factors and facts at work in this situation that I don't know about, don't understand or I am in error on so other than being able to state with 100% certainty that the Object I saw orbits and it will be back, I just can't say for sure exactly 100% when the Object will arrive back home down between the Moon and the Earth again. Maybe I have guessed the correct date or maybe not. 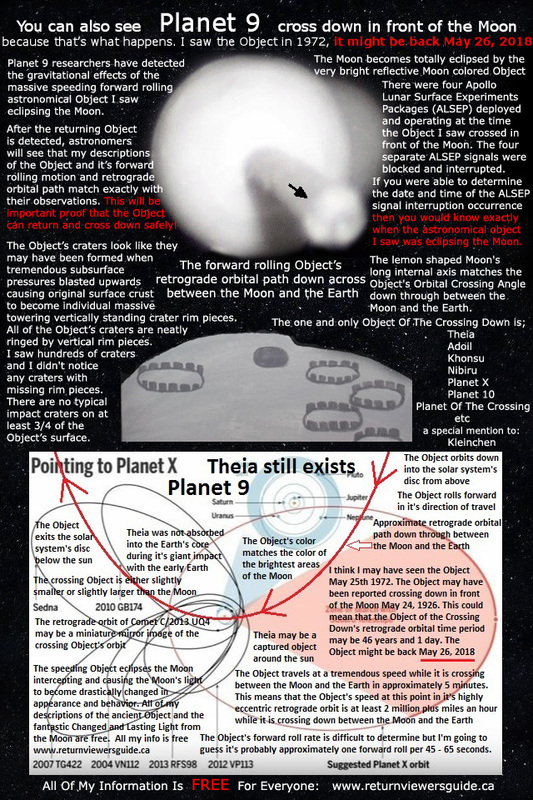 I don't know what the Object's true orbital period actually looks like. 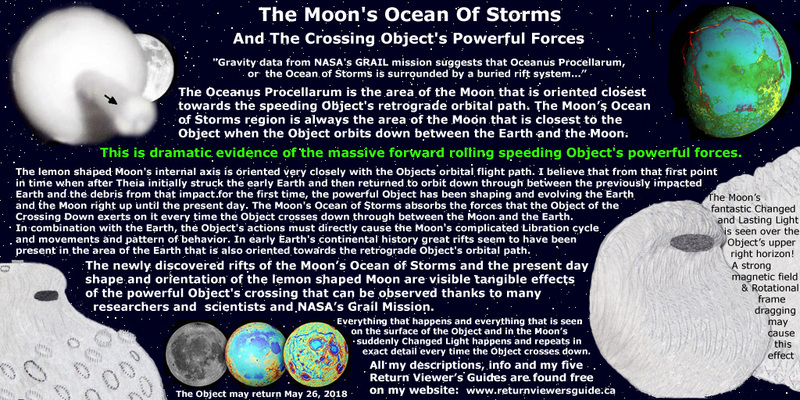 The main reason I am focused on a night three nights before the full of in the month of May is the May 24, 1926 report by Mr. W. Spill of what I believe may possibly have been the same astronomical object I saw. 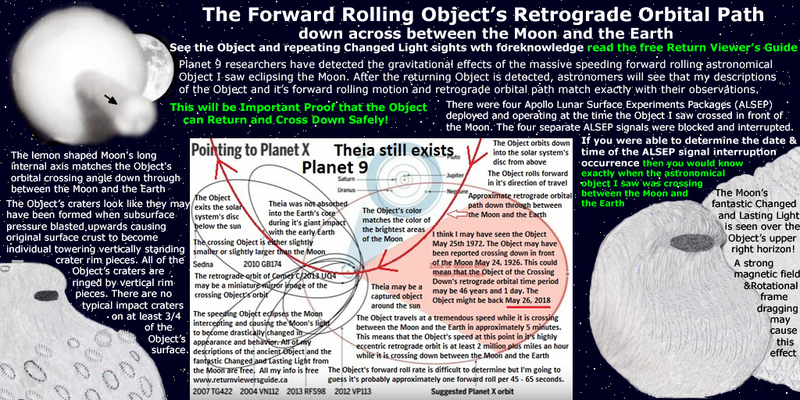 Even though my best guess regarding this forward rolling retrograde Object's return orbit date down across between the Moon and the Earth was not correct that has no effect on the accuracy of the details I provide concerning what future viewers can expect to see during the first part of a Return Event. The fully eclipsed Moon's light is suddenly seen to the right and above the crossing Object's upper right horizon. 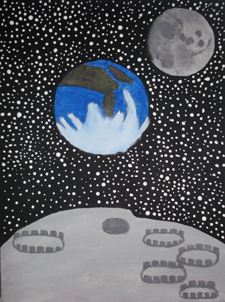 The Moon's light and light from the background of space becomes changed and it lasts. Incredibly the fantastic ancient thing that happens, still happens and you can see it if you look up at the right time. 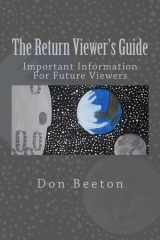 The Changed and Lasting Light sights that a viewer sees happen repeat in exact detail. 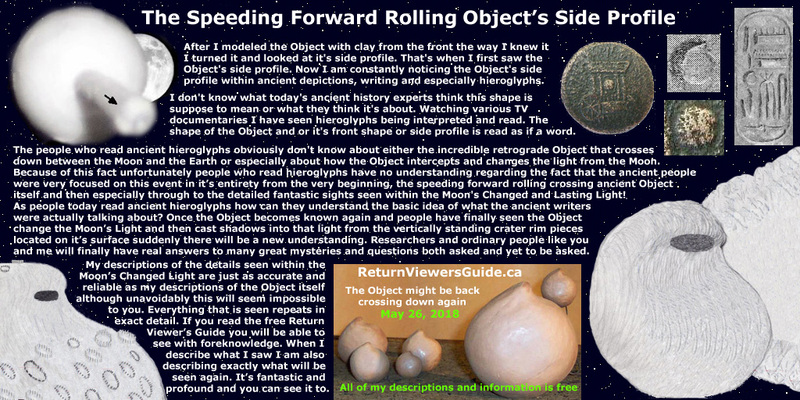 The Object's speed is tremendous. 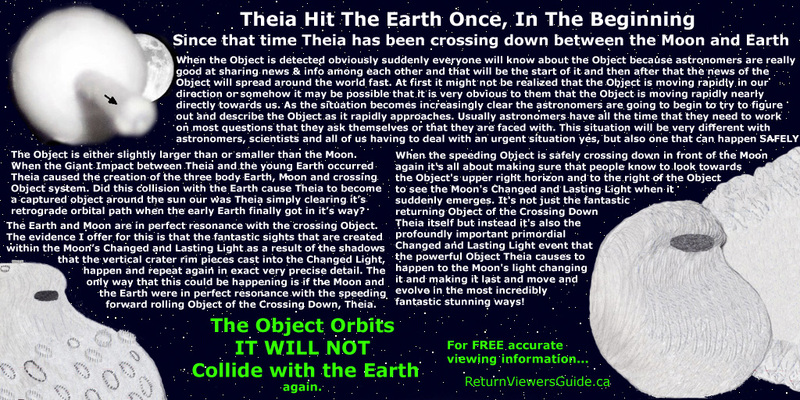 In three or four or five minutes perhaps give or take the speeding Object travels the distance down across between the Moon and the Earth on it's retrograde orbital path down towards the area of space beside and below the sun. 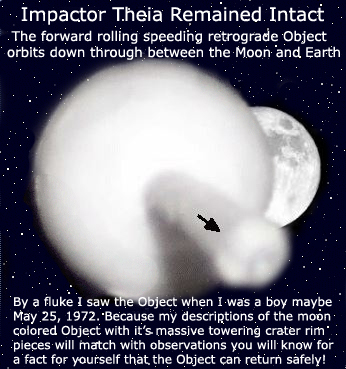 Knowing the night of the Object's imminent return is all important for many reasons. My first and second book have two separate return dates that that were my best guesses at that time. Both guesses were incorrect. This is a very difficult different situation we are all in. Again I am trying to figure out what night the ancient celestial Object I saw when I was a boy is going to roll down across between the Moon and the Earth again. When will the incredible ancient Object of the Crossing Down return? I can guarantee that the retrograde astronomical Object I describe on this website will in fact return and change the light from the Moon exactly as I describe. Sooner or later the speeding Object will be back and that's 100% guaranteed. 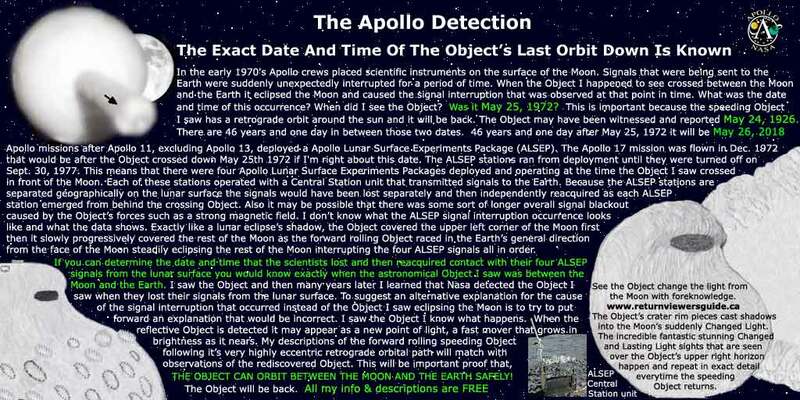 The Apollo Detection When did I see the Object?